This entry was posted in Redcar, Religion, Too Late by chris.twigg. Bookmark the permalink. What is happening to the old town? No history left. Presbyterian Church High Street gone/shops. 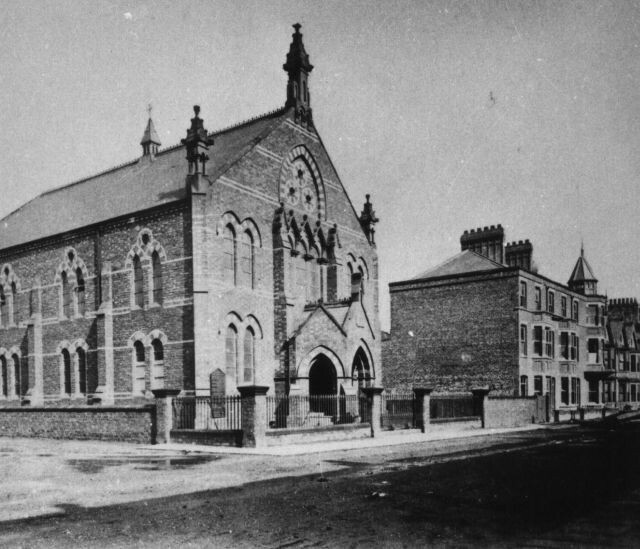 Congregational Church (corner of Lord Street)/ supermarket now gone. St Peter’s/falling down and only half useable. The pier gone/now a vertical purple monstrosity. Old Palace cinema gone/another purple monstrosity. Lily Park ruined/now thanks to a dedicated group being somewhat restored What is in “store” for the Wesleyan Chapel? Another shop/parking/purple monstrosity? Sad to say the vast majority of Victorian buildings have no protection at all. You don’t need planning permission to pull down your own building if it isn’t listed in any way.